This post is brought to you by Martha Stewart Home Office with Avery. As always, all opinions are my own. Ah, organization. Something we all probably need a little more of in our lives. I’m not gonna lie, I definitely need it in my life. As many of you know, I have a day job on top of running the blog and my brand ambassadorship with Homes.com. This requires me to be organized. Probably more organized than you think. I have two planners/organizers– one for scheduling clients for my job as a developmental therapist and one for the blog. I also have to do all of my own bookkeeping (holy paperwork, Batman) because I’m a 100% self-employed. 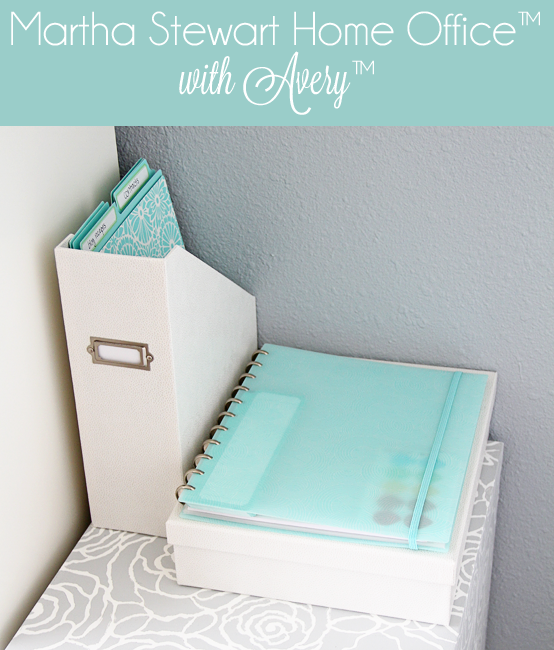 So today I’m showing how I put some Martha Stewart Home Office with Avery organization products to use in my home office to stay organized and sane. Well, as sane as possible. Some bloggers call it an “editorial calendar”, I call it a “planner”. I’m simple like that. Basically, I need something with a calendar and a pocket folder or two to keep all my blog business straight. Which brings me to my love of the Martha Stewart Home Office with Avery discbound notebook and all of its awesome add ons. The notebook has these cool discs that allow you to add elements by popping them onto the discs. It comes with lined paper so I kept some of it for jotting down ideas this noggin of my mine might cook up. While I took some of the paper off, I added the calendar, a task pad, 3 folders, and color coding dots. 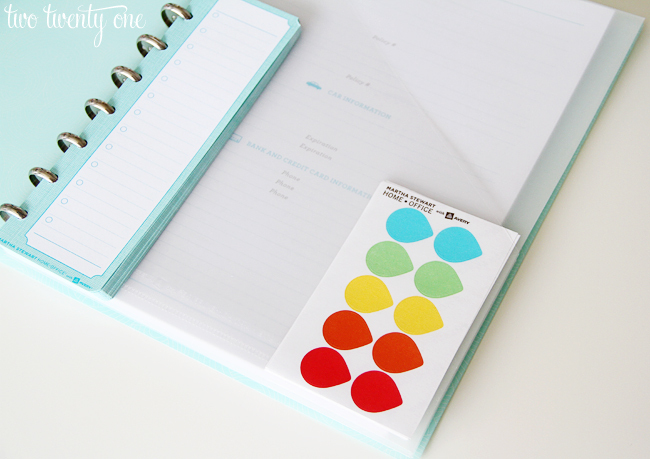 I plan to use the color coding dots to color code blog posts but someone with kids could assign a color to each kiddo to keep track of each kid’s specific activities. Like I said above, I’m a 100% self-employed, small business owner. And while self-employment has its pros (hello, I’m basically my own boss), it also has its cons. One con? Paperwork and taxes. Obviously everyone has to pay their taxes, but there’s an extra bookkeeping process that comes with owning and running your own business, let alone two businesses. To keep all of my blog receipts, contracts, utility bills, DT receipts, etc. organized I put these pretty vertical file folders, file folder labels, and magazine file to work. Now, I’m not going to pretend that I’m the best bookkeeper ever. I don’t file things right away. Typically, I let receipts and other paperwork stack up and file them away every couple months or so. Which is why I love this document storage box. I write on top of each receipt what it’s for (DT or blog), and then I throw them in the box so I don’t lose them. And when I get a chance, I file them away. I understand that this may make some borderline OCD people cringe but it works for me. Not gonna lie, having functional and pretty organization products makes me feel less stabby about bookkeeping. I’m sure you can think of ways to put some of these products to use in your own life, whether you’re a small business owner or not. So why not enter to win a $50 Staples gift card so you can get your own Martha Stewart Home Office with Avery products? You must use the Rafflecopter widget to enter to win. Giveaway open to US residents. Oh wow, LOVE the colors of these products! And could you please make me one of those planners??? I love this stuff! I always see it at Staples and want to buy everything in sight! I do a lot of shopping at Staples for work and have loved the Martha Stewart line since it’s debut. I’m hoping to get a disc bound notebook for 2014 to help keep my life organized. The planner is great, but I actually really like the box for receipts a idea…I do the same thing and only file things in spurts so it would be nice to have place..that’s pretty…to put things until I have the chance to file them! I would love the discbound notebook and all of the matching accessories! It would be hard to pick! It would definitely help make organizing more enjoyable. Thank you for the giveaway! I love the Martha Stewart Line at Staples…SO FUN!!! Loving the planner! It’s so pretty! Office organization is a weak spot for me, and I could definitely use the help! I’ve been dying to pair these up with Jens 2014 planner!!! I love Martha! I adore the drawers and trays, along the wall manager. They would be perfect for my office while I am working as a graduate assistant. I need as much organizational help as possible! Do I have to make a choice? I love the folders and magazine folders. I love the planner..and the file folders..and the receipt box..and basically everything! I am loving the planner! I need to get to staples! I love pretty organization things! I LOVE That binder !!! I could go broke buying everything in her line at Staples. 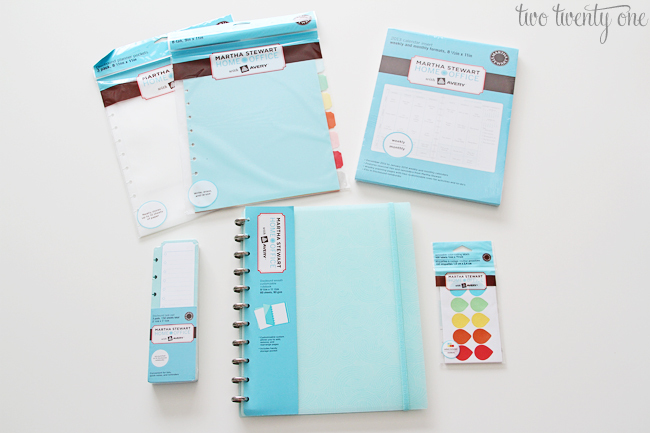 Great giveaway, I can’t live without a planner! I love this line! The vertical file folders are amazing! I just love your office! I love my discbound notebooks. I have two and love them! The planner is my favorite but i love it all. Especially the colors. I’ve been meaning to get to staples to check out the Martha stewart planners! I love it all. I love office supplies. I am weird like that I guess. I love the planner you show here! With out a doubt the planner!! That is a must need for me! I love office supplies, lol. Anything to make things neater! I’m a planner and I love a good notebook. I love the personalization of the planner! I love all Martha Stewart Home Office stuff. She has a very great idea to keep everything neatly and nice. Receipt box for sure. I love that it hides the mess! Love the colors and Martha’s whole line at Staples. Also love your stenciled file cabinet, I desperately need to do that in my office. Lovely! I need all the help I can get for office organization! I have those same upright file folders in use in my home office! Love the patterns and colors and how easily it works together. I’ve had to limit myself to the folders, but a gift card would let me go wild! I pretty much love anything that has the name Martha Stewart attached to it…from the colors and designs to just how well each product works to help keep me better organized is great! I love the Wall Manager. I definitely need one place to keep all my important information and appointments. I live by my Martha discbound notebooks! They are perfect for work and school and make it so easy to take things in and out of them. One of my next projects is to organize our office. I love this line – so cute! I love the box for receipts! I love the box you used and the super cute folders! I’m loving the snap-on disc binding!! I would LOVE to get and try the planners and boxes! I love it all! My favorite is the discbound system with the beautiful blue covers and silver disks! I love the file holders and bright dividers! So chic! I have to say that I love shopping at Staples like some women like shopping for shoes! And with that said, how can I possibly pick only one thing as my favorite? I love it all! I love the whole line! I am a sucker for all things office related…I own too many binders, folders, notebooks, etc. I especially love the colors in the collection though. I have been wanting to get my hands on the Martha Stewart Line at Staples! All of these look super functional. Love the planner! I definitely need to get a lot more organized! If you only knew how much I needed this! I have just started a new business and Lord knows I need more organization! I love all the labels and storage boxes! In love with the planner. I am in love with the document storage box. Something I totally need. I’ve had my eye on the planner binder! I love the folders too! Thanks for the chance to win! 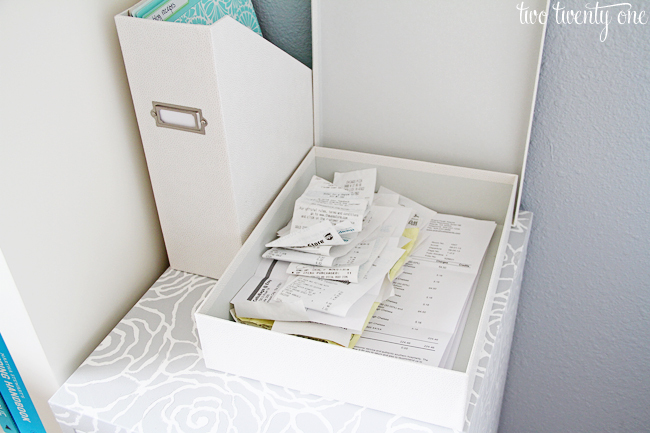 OMG, I need that document storage box for all the many receipts I keep thrown around the apt! That would cut so much clutter! Such a great idea on the box and then filing every month!! I am always trying to find random receipts. I just bought that exact planner to use for my classroom this year! I have different sheets I want to put inside so the $50 would be perfect to purchase the hole cutter I need to fill it! Fingers crossed!! With a new move to our first house I am in desperate need for some great organizational materials! i love those document storage boxes. I am in love with her line, and have been eyeing up that disc bound notebook for quite awhile! I would love to get her wall manager! Thanks for the chance to win great blog candy. I’ve been in love with the desk organizer system for a long time! I love the aqua color of the file folders, etc. I love the whole Martha Stewart line. That aqua color is so beautiful! I would LOVE to get one of the binders. I just started printing pages last night to create my own planner and that is the binder that I have been drooling over for it! ❤ This line of products!! But my favorite are the desk organizers in aqua! I am totally digging the vertical dividers! Also, the document box is a great way to stay organized. I may have to implement something like that.. This organization stuff is so cute! I’m a teacher and I think this would look great on my desk! Thanks for sharing! Would love the whole system! I think the binder is a great way to start off. Thank you! I love Martha Stewart Avery products! I have a few of the fun spiral notebooks, an accordian file, the colored sticky tabs, and several labels 🙂 I would love to expand my collection! I have been admiring those customizable notebooks for a long time! I love this line! It would look great in my bookshelf.. I really like this line too. I use the mini-binder and the various sizes of plastic inserts to hold my coupons. Great way to start your day with this planner. Love that discbound notebook! I can think of about a million things I want from this line!! I love the file folders, and I love the design! What a great giveaway! I really love the planner, but my life is very much like Allie Brosh’s (Hyperbole and a Half) post entitled, “This Is Why I’ll Never Be An Adult”. They never work out well for me. already love the Martha Stewart line, esp vertical file folders! I have one of her blue notebooks. So pretty! I already use her planner (love it! ), but I can never have enough files! Love this line by Martha Stewart! Thanks for sharing! I love the Martha Stewart planners and notebooks. No one does stylish the way she does! I am lovin the aqua floral file folders. So pretty to keep on display! Oh man, I could do so much with a $50 gift card to Staples. I am a small business owner too and I totally believe making your office work for you is so important. I love your receipt organization because I never organize things consistently, more like when I find a few extra minutes. I never thought to put the top tab folders in a magazine holder. Great idea. I seriously love everything that she offers for office/ planning organization but if I had to pick one thing it would definitely be the wall manager. That would be such a huge help to keep my schedule on track! I am loving that planner! Definitely gotta get my hands on one of those. love the blue color and I love to organize! I love the file folders and the overall color scheme of all the products! The file folders are so pretty and such an easy way to get organized. I Absolutely LOVE those file folders! I love all the colorful folders!! I love your version of the planner. I was actually at Staples today and I almost bought that but I didn’t. I might have to make a trip back up there soon! 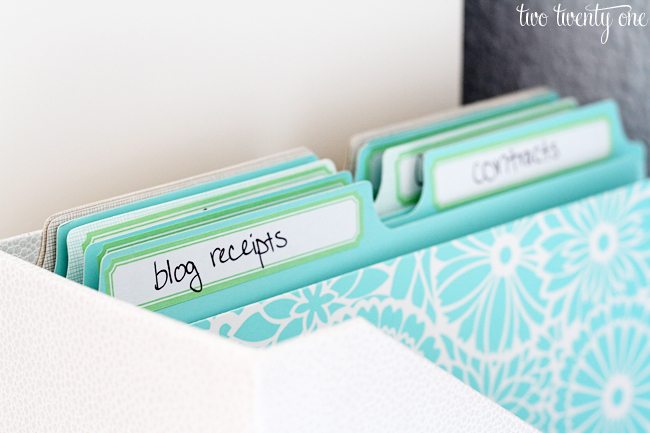 I love the turquoise folders and pops of color! I love my Avery planner. I use mine as a calendar and a notebook. I actually need to go purchase the larger rings soon! I’ve been a huge fan of the Discbound notebooks for a while now! I love the planner! I am one who has to write it all down now that I’m pregnant because I forget everything. I love anything in that aqua color and that line from Martha Stewart fits the bill! Love organizing! and organizing with pretty things is even more lovely! Love the functionality and pretty colors. I’m loving the discbound notebook! I LOVE the vertical folders!!! I love the colors too! Thanks for the great organization ideas! I love love the colorful folders and the document box! Oh my gosh! I want the planner! 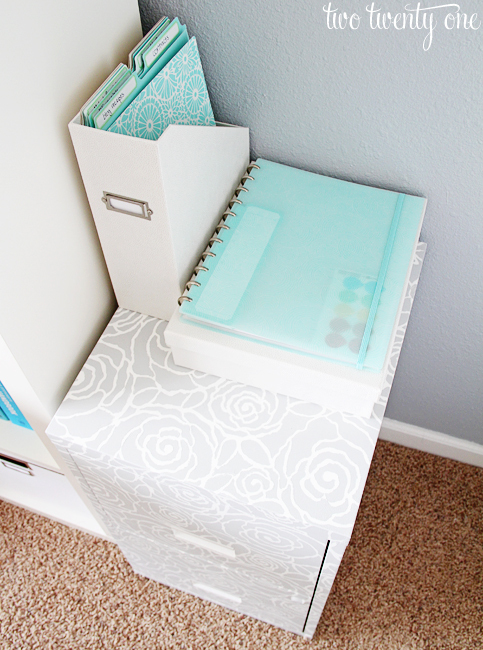 I like the pretty file cabinet! I use the bookplates all over our house! So cute, and so much fun for getting things organized. Some women have an obsession with shoes. For me, it’s office supplies. It’s sick, really. I get more excited about a fun new pen or set of cute folders than I do a new outfit. Turquoise and lime green are my logo colors so of course I’m drawn to those colors and see them everywhere. I salivate in the Martha section at Staples because there’s so much of that turquoise-blue color! I just started setting up a home office, and have been at Staples a few time in the process. There are a few Martha Stewart item I have my eye on. I love the binders and binder inserts in this line – I have several items already, but with a hubby and a new house purchase going on, I’m going to need a few more items to really get organized! I live this giveaway! If I won I’d use the products to help organize my blog, work schedule, and last few months of wedding planning! I have the Storage Boxes in aqua, and absolutely love them for hiding the stuff people don’t need to see! I love the planner/notebook with custom inserts. I’ve been looking for something like this for a while. I’m fairly new to your blog and this is my first time leaving a comment. The Martha file folders look great on top of your filing cabinet. It’s like they were meant to be! BTW, I am so glad you have adopted healthy eating into your life and have awesome results, too! I was pretty much in your situation two years ago and swear that eating lifestyles make all the difference in terms of weight control. It has to be the discbound notebook. Because no matter how old I get? Stickers! It also helps the color is gorgeous. I used Martha’s Avery products to keep my whole wedding in order and now to file all the little mementos and photos from the day. Now that my husband & I are homeowners, I’d love to develop another Martha filing system for our renovation! Love the pretty folders and cute stickers! I love the line at staples. I have a few of the file folders in my classroom, and they make me happy when I see them! I love the planner and binder and folders and box! OK, I LOVE it all ~ who am I kidding? I love the whole product line!! I enjoy filing, and having Martha Stewart file folders would be amazing to make all my filing look modern and fun! I LOVE THIS LINE! So pretty and functional. I am in love with the variety of planners in this collection and the colors are so peaceful. wow! these are pretty cool! i am really digging those vertical folders!!! thanks for the giveaway! So much love. I want the snazzy bulletin boards she has! I love it all! It looks so clean and organized! I love the MS collection at Staples. So functional and cute. I love her craft brown stickers. I was just at Staples two days ago gushing over these items! I absolutely love the document storage boxes because I definitely like to organize to file later. Having the boxes helps compartmentalize and keep things sorted. 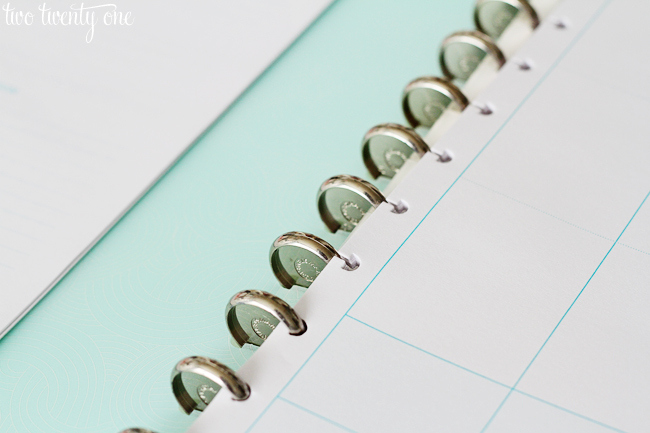 I am needing a new planner, and hers are super cute! This would be an amazing add to my craft closet….love the colors! I do most of my planning electronically, but those file folders would be gorgeous for handling paper organization! I love it all, but I especially love all the binder pockets for the half-sized binders!!! I use a half-sized binder for house organization so I can stick it in my purse, but it can be so hard to find cute innards!!! I love those file folders. I love the organization system you have. I love those file folders! Love her bookplate label holders! actual putt up extraordinary. Excellent activity! Welcome to my world of hating to file. If I were in a job where I was paid a salary, I would have to tackle it. I love Martha’s colors and when I can get to a Staples, will look for these products of hers. Aqua is one of my favorite colors, so soft and beautiful! I agree– I love the aqua!